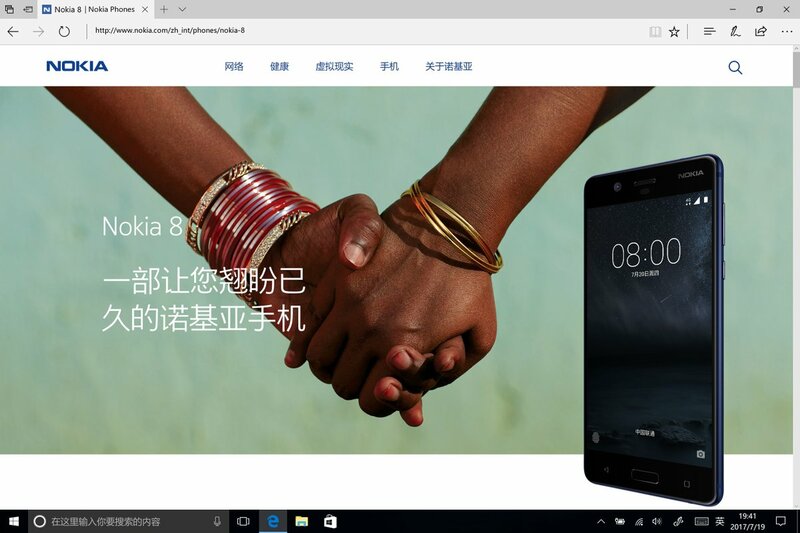 Nokia is already back in the smartphone market from the beginning of this year with its three smartphones named the Nokia 6,5 and 3. But no doubt, these are not the phones we all wanted to see from a company that once ruled the mobile world. We wanted to see a phone that can compete with the top end devices from company’s like Samsung, Apple, LG etc. 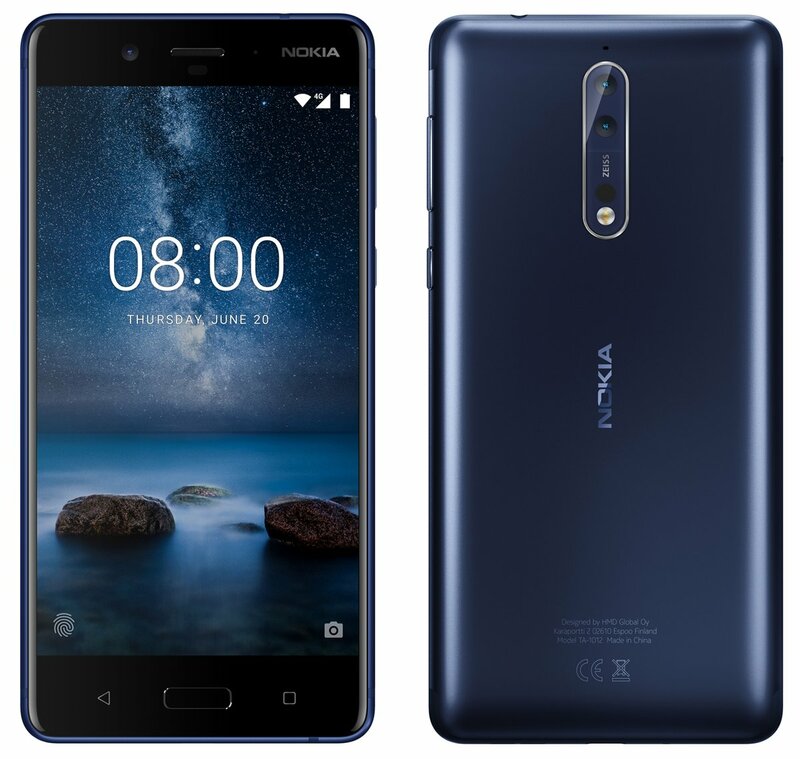 Guess what, the Nokia 8 has launched and it’s the first flagship smartphone from Nokia that features the high-end specifications. From the looks, it looks more like a OnePlus-ish device with a normal design and high-end specs. Just as the leaks revealed, there is no bezel-less thing going on with the device. From the front, it looks the same as Nokia 6. Even from the back, the phone is almost the same but it now has a curved frame. Also, the Antenna lines have been moved to the top so that the aluminum back looks clean. And talking about the build material, it’s the 6000-series aluminum. The phone is also IP54 Splashproof. Rest of the design remains the same with the same buttons placement, same front-facing fingerprint scanner etc. The USB Type-C Port, Speaker Grill, and the primary microphone are placed on the bottom whereas the 3.5mm headphone jack is on the top. Well, talking about the specifications of the Nokia 8, it features a 5.3-inch Quad-HD IPS LCD Display with a 2.5D Curved Gorilla glass 5 on top. Performance-wise, it s powered by a Snapdragon 835 processor, 4GB of RAM and 64GB internal storage. Also, there is an option to expand the memory upto 256GB. With the Nokia 8, the company is again returning with the Zeiss Optics. There is a dual 13MP camera setup on the back where one camera is the normal sensor whereas another one is a black and white sensor.There is also the Laser AF and Dual LED Flash. On the front, the phone has a 13MP camera and that too has Zeiss Optics which is incredible. The camera app is full of different features and one of those features is called ‘Bothie Mode’. This feature uses both front and rear cameras simultaneously with a Dual-Sight mode. There is also an option to do live stream directly from camera app to Facebook and YouTube. For immersive video capture and a playback experience to match, the Nokia 8 is the first ever phone to feature Nokia OZO spatial 360° audio built into its core. Under the hood, there is a 3,090mAh battery with Quick Charge 3.0 support. The company says that the phone comes with a heat management solution with a full-length graphite shielded copper cooling pipe that dissipates heat across the full length and breadth of the smartphone. Lastly, Android 7.1.1 Nougat runs out of the box and it’s the pure stock android experience with no extra add-ons. Another good thing is that the phone will receive regular updates, as per the company. The Nokia 8 will be available in Polished Blue, Tempered Blue, Steel, and Polished Copper color options. The phone will go on sale in September for almost 599 Euros. What do you think about this new smartphone from Nokia? Do let us know via the comments section.